Strokes,'" premiering on Monday, Sept. 4 (8-10 p.m.
it also examines the pitfalls of child stardom. made the comedy an instant hit for NBC. era surrounding "Three's Company," "Charlie's Angels"
real-life sister, portrays Bridges' mother. 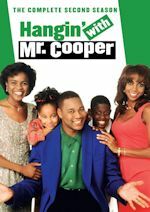 Gary Coleman (13-29 years) Robert Bailey, Jr.
Executive Producers: Stanley M. Brooks and Scott W.
My Review: I was beginning to wonder if this TV movie was ever going to see the light of day. This movie was greenlight in early 2005 and was produced in the fall of 2005 in Canada. This was NBC's 4th "Behind the Scenes" TV movie. It was by far the most dramatic. If you've seen the E! True Hollywood Stories on Diff'rent Strokes and Dana Plato, then you already know most of the events. It was interesting to see how these events were dramatized. FOX already made a Behind the Scenes Diff'rent Strokes movie in May 2000, but I thought the NBC one was quite a bit better. It went into a lot more details and just seemed to have higher production values. This movie was a bit different from the previous NBC TV movies. 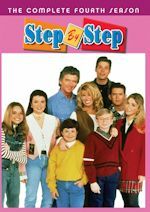 While previous installments have focused on the time the shows originally aired, this one also covered what happened after the series ended. About 2/3 of the movie was devoted from 1978-1986. The last 1/3 was about what happened after the series was cancelled. 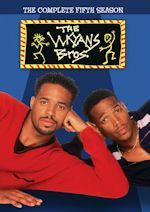 Involvement of Gary Coleman and Todd Bridges - They were consultants on the project and appear in on-camera interviews throughout the movie. They didn't sugarcoat their comments or cry or make excuses about their problems. They seemed very frank and honest with what they said. Good Casting - It seems like they didn't try and go out and get exact doubles for the real actors. The two actors who played the young Gary Coleman were fantastic. Not only did they look like him physically, they had some of the same mannerisms. The actresses who played Dana Plato did a good job with the part. The older one is a real cutie. I didn't think the actor who played the young Todd Bridges looked much like him, but the older one looked and sounded more like him. Bruce Young did a fine job as Willie Coleman. He was big and intimidating and showed a lot of emotion. Verda Bridges was excellent as Betty Bridges, Todd Bridges' mother. I just thought she was a bit underutilized and could have been in a few more scenes. Some of the smaller parts went to local Canadian actors. The Little Details - I like how they included all these details that most people probably wouldn't even notice... like the schedule grids on the walls at the NBC studios and including all the directors, production people, and some later cast members in some scenes. The dates of many events are listed to give you a timeline. Funny Moments - There were a lot of unintentionally funny moments that will probably give you a laugh. The scene where Johnnie Cochran is questioning a potential jury member will leave you smiling. The main studio set - They got the colors right but not much else. If you were a casual fan and only saw the show a few times, you might be fooled into thinking the set really looked the same. The staircase is completely wrong and spirals up in a different direction. They put the balcony area behind the couch. A lot of the furniture, props, and the general layout of the set was just not like how you saw it on the show. The theme song - They used a completely modern sounding version that had different lyrics. This is not the theme song that people love and remember. Since this movie is airing on NBC, I don't see why they couldn't use the original theme to add some authenticity. The casting of the actor who played the adult Gary Coleman - This actor also played Gary in the FOX TV movie. He simply looked too old for the part and didn't sound like him at all. If you look at his imdb.com entry, 2 of his 5 listed roles have been as Gary. I think he's been typecast. 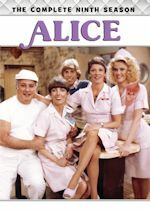 Overall, this is probably not NBC's best "Behind the Scenes" TV movie (that would be Mork & Mindy), but it does a decent job of telling the story. There were even a few fresh revelations that I never knew about. If you are a fan of the show, it would certainly be worth watching or tivoing for later viewing. AM radio magic… without the static! 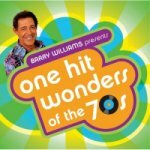 This fantastic collection is your one-stop ticket back to the groovy ‘70s, featuring 20 of your favorite songs by "one-hit wonder" artists. And who knows the ‘70s better than Barry "Greg Brady" Williams from the ever-popular sitcom The Brady Bunch. You may not remember the artists, but you’re sure to remember these Top-10 songs, like Afternoon Delight, Please Come To Boston, In The Summertime, Sometimes When We Touch, Play That Funky Music, The Night The Lights Went Out In Georgia, Seasons In The Sun and many more. My Review: As a big movies and soundtracks fan, I recognized a lot of these songs from movies from the last few years. "Play That Funky Music" by Wild Cherry was used in "Undercover Brother." The "Starsky & Hutch" movie used "Afternoon Delight" by the Starland Vocal Band. There was a memorable cast version by Will Ferrell and company in "Anchorman." Mungo Jerry's "In The Summertime" was used in a funny bicycling montage scene in "Wedding Crashers." Dan Hill's "Sometimes When We Touch" was used in the Molly Shannon movie, "Superstar." Interestingly enough, "The Night The Lights Went Out In Georgia," was originally offered to Cher, but she turned it down. Vicki Lawrence was already known for her work on The Carol Burnett Show at the time of her big hit. Sitcom fans, of course, would later know her as Mama on Mama's Family. My favorite tracks on this compilation were the classic hit "Precious and Few" by Climax, "O-o-h Child" by The 5 Stairsteps, and "Sometimes When We Touch" by Dan Hill. I'd definitely recommend this CD if you are a fan of '70s music. There's a little bit of everything on this CD: Pop, Rock, Funk, Soul, Country, and Disco. I am more of a '60s (music that was used on The Wonder Years and American Dreams) and '80s music fan, so I'd probably enjoy an one-hit wonder compilation for those decades a bit more. You might ask what is the connection with Barry Williams? He currently hosts a program Sunday-Friday at 2-6PM ET on the Totally '70s channel on Sirius Satellite Radio. Groovy man!